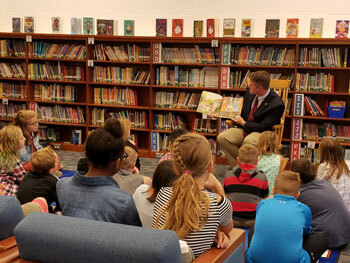 During the past week, I have read “Rufus Goes to School” to children at Rainbows End in Washington, Muse Elementary School in the Canon-McMillan School District and Trinity West Elementary School in the Trinity Area School District. All the students were very attentive and asked some great questions. Instilling a love of reading at an early age sets a person on the track to success for a lifetime.